Without a lot of clean legal qualification of what the exactly means – you are in breach of contract with both of the above scenarios! The customer would need to sign the dozen of pages of legalesse required to qualify this. Why???? If you are giving them ownership of the code and using JQUERY, then you are saying that they own JQUERY and can legally sue anyone else that uses the JQUERY. If you exclude 3rd party components but supply code that sets or alter properties of these components, you are effectively granting a developer license to the customer. If the customer purchases the software, then it is better – provided the customer is the purchaser of record and after you finish it, the “Developer licensee” of record is transfer back to the customer. IDEALLY, the developer would have their own license – and the client license would never be temporarily transferred to the developer. It keeps matter clean. The courts will interpret any contract or note written on an invoice based on what it says and how the common man would interpret it: not what is intended or understood by technical types. First, this means that you need to make sure that any UI/graphic designer that you subcontracted work to is done as a “work for hire” and include a copy of their signed contract with papers deliver to the customer. A simple invoice with this scribbled on it leaves things unclear (without both parties signatures on the document – it’s not a contract!). This can potentially cause problems because any libraries of code that your firm has written in the past that is included in the deliverable is now OWNED by the customer and you have no legal right to use it. In fact, if you used it on a different site, you would be obligated to remove the code from those sites – because that usage would breach the copyright that is assigned to the customer by it being a work for hire. For graphic elements there is an additional problem, if the UI person use stock images (they may be legally licensed to do so), they cannot legally grant a work for hire status on items that they do not own a copyright for. This applies to both photography and computer generated images. It can also extend down to the font faces being used in logos and images. The term “modify” should not be used without extensive qualification. It would be good practice to explicity state something like “the right to modify the site is not granted. Any future modifications would require the customer or the customer agent to obtain all of the appropriate licenses”. Focus on the licenses issue – so it is clear that you are not the source of pain, the licenses are. How do I phrase it to give the customer the code? BE VERY CAREFUL of granting an “unrestricted license” because this means that your code libraries could be legally incorporated into the next web developer’s tool kit, in fact, they could start selling a tool set containing it! Often a sales person would be asked by a customer for something like “do I own the site” and that may be cited on a bid or invoice. Draft a written policy indicating that no person is authorize to assign or grant anything except a usage license to any one, and get the signature of every sales person on it. Now, it the sales person does it – send them back to the customer to get it removed. If it goes unnoticed and a legal situation arises, you may have some legal protection --- the sales person needs to be immediately fired, and the defense is simple: the sales person committed fraud – having the signed policy indicates that they were not acting in ignorance etc. Typically, the person bailing out will form a new LLC and may pursue a similar business model. The dispute is an interesting one because it is akin to an employee quitting a company and then turning around and demanding severance, their chair, their PC and all of the software on it that was purchased by the corporation. It appears to be a combination of a sense of over-entitlement and not understanding (or accepting) the consequences of quitting. On the other side is the still existing corporation that is financially underwater being asked to give up assets. If the corporation does this and then files for bankruptcy(or is forced into it), the remaining manager is between a rock and a hard place to defend such an action against creditors. There are rumors that assets of the corporation were actually removed by the resigning partner after the resignation which opens up another hornet’s nest of legal issues. The issues appear akin to an employee quitting and then claiming a corporate PC loaded with corporate software and proprietary information because of their years of service. Unfortunately, the folks are looking like they will end up in litigation (which may result in bankruptcy of the LLC leaving just losers). Demand that the LLC be dissolved and any remaining assets distributed. If underwater, put it into bankruptcy to insure a fair distribution of assets. Return every piece of equipment ever issued. Return all paper work and notes. Delete all records and files of the LLC from all personal machines. Walk away and do not look back – don’t be Lot’s Wife! If the firm is bought for $10,000,000 on the next day – you are out of luck. Not legal advise – always consult a lawyer. I attended Entrepreneurs Coffee this morning, see a lot of familiar faces and a few new ones. 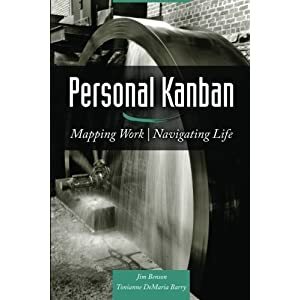 The speaker was Jim Benson, the author of the newly released book "Personal Kanban" as one of the founders of the Seattle's Lean Coffee. Jim and his partner(in DC) or clients will by on Skype 100% of the working day, not having a conversation – rather just hearing each other clicking away. When an issue arose, there is no need to make a telephone call or start a Skype conversation… he just speaks up! Elegant approach. Sharing a virtual skype cubicle. Economy of scale does not work for Knowledge Workers – the more of them that you get involved, the lower the return per employee. I have seen this often and have been known to say “Don’t give me two developers to help me meet the deadline unless you really want to miss the deadline!”. Solo-coding (for me) often results in the highest output. Passing information and making sure it is understood is more time consuming than doing it. On the flip side, if the code is to be maintained, then getting someone else up to speed is essential. The key item is that it is a false assumption that tossing more bodies at a problem in a crisis is what you should do. SCRUM has evolved, originally it was intended to increase communications and break tasks into smaller easier to manage pieces. What has happened is that the process has become formalized. Think of it this way, “there is the spirit of SCRUM and the letter of SCRUM”. SCRUM has become more and more bureaucratic and formal. I saw this 8 years ago at Microsoft where the SCRUM Certified person focused solely on getting the paper-work of SCRUM done (covering you’re a**) and killed communications and team ethos. SCRUM is good conceptually – BEWARE of born-again bureaucrats who are SCRUM-Certified! 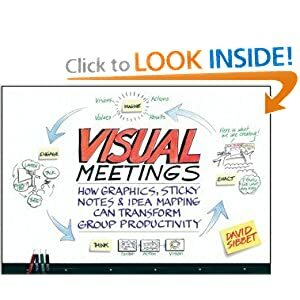 For my other blog, I will likely shift more and more to visual learning styles. Those are the main highlights. Join the Entrepreneurs Coffee Meetup group to get notified of the next one! When using EF there is no constructor on DbParameter that takes arguments, and that makes sense. It is meant to be overridden by the concrete type under it, usually SqlDbParameter. Because of this there is also no method for AddWithValue on the DbParameterCollection, which confuses people on occasion. 2: /// Adds a parameter to the command. 8: /// Name of the parameter. 11: /// The parameter value. I’ve had issues with this on and off for a while and thought I should note my solution quickly. Expression Blend will actually use ExtendedVisualStateManager, but the base class VisualStateManager has this solution as well. Basically, due to a bug that was supposed to be fixed, but for whatever reason still exists, the visual state sometimes won’t change using this method. The GoToState method takes a control, a state name string, and Boolean whether to use transition animations. The solution is simple. There is another method called GotoElementState that takes a FrameworkElement, and the rest. Just use this instead and your problems go away. Recently I was reminded (by being an observer to some drama) of the legal constraints that developers should know but frequently do not know – especially the new self-taught developers. I suspect that even some Computer Science graduates are ignorant here. Monkey See, Monkey Do –Lawyers Knock! The site is ready, the customer is happy, Jack drops a check in his pocket. Two months later, the customer phones Jack – he has just received a letter from a lawyer to take down the web site because it contains copyrighted material. Papers indicating he is being sued. What is the problem? Simple – items on the internet retain copyright unless licensed or placed explicitly in the public domain. There is no “fair use” of code. The rights problem is actually made more severe with open source – because there are hundreds of contributors, there is a significant chance that one of them did a copying of someone’s code off a website. You have an right to use the open source code – but it does not indemnify you if the code violates a copyright. The person in procession of the violation is always accountable! Someone selling bogus DVD or Viagra is not excused because he did not know it was illegal. The best that they can hope for is a deal if they drop their suppliers into the mess. Old timers know about “clean-rooms” from the days of MSDOS. The name has been re-used. The old meaning was putting developers in isolation to develop a product and protect the firm from lawsuits; for example, because a developer reverse engineered code or behavior. In the internet world it would mean that you can do screen shots of a site and create an equivalent NEVER NEVER looking at a single line of source (HTML, JScript, CSS). If the site has “patents” or “patent pending”, then it is even harder because of patents on things like ‘One Click’, so you cannot even do screen shots. The problem is simple, a license, items placed explicitly into the public domain or a truly original creation is needed. If you are an employee of a firm and wrote this awesome library of routines and then leave the firm I have some bad news for you. You cannot use a single item from that library unless you get explicit written permission from your old firm. You created it; they OWN it. You can recreate the library (literally rewrite the library) and likely will improve it in the process. Every routine etc must be revised. I usually recommend defining a NEW different naming convention, changing the preferred coding patterns and doing a complete refactor with some improvement in at least 50% of the functions. Consultants arrive with libraries of code they have evolved from other projects. The use of this code is often viewed as an unrestricted licensing of the code to the customer without the acquisition of ownership. If the contract specifies “work for hire”, then the consultant should clearly mark what is new and novel in this work, and what is simply an unrestricted license. If the consultant writes work for hire code that he like, he is still free to refactor the code and add it to his own repository of code – after doing a clean and complete refactor – ideally with some further improvements. If you are responsible for the management of code…. Present and document that your employees have been instructed on best practices at least once a year. Review some code (often this actually amount to testing the dev if they understand the code they are using or just copied it from elsewhere). Several years ago, my wife got involved with VRML and creates a short example, 420 bytes of code, that she used on her website. She put a copyright in it. One day when she Altavista-ed (pre-google) her name she found it on an Israeli site. We contacted a lawyer in Israel, arranged a contingency agreement and told him to go for it. Two months later we received a check. The offender opted to settle for $1200 for the 420 bytes of code instead of our lawyer going the distance for copyright infringement. Many lawyers have spare cycles and a clean copyright lawsuit on contingency can be an easy sale… We did it internationally with little hassle. Is it fair? Should copyrights and patent be abolished? I have no comment of those issues – they exists and can result in significant financial pain; they are to be respected.